Above is the Chinese phrase for dormant volcano. 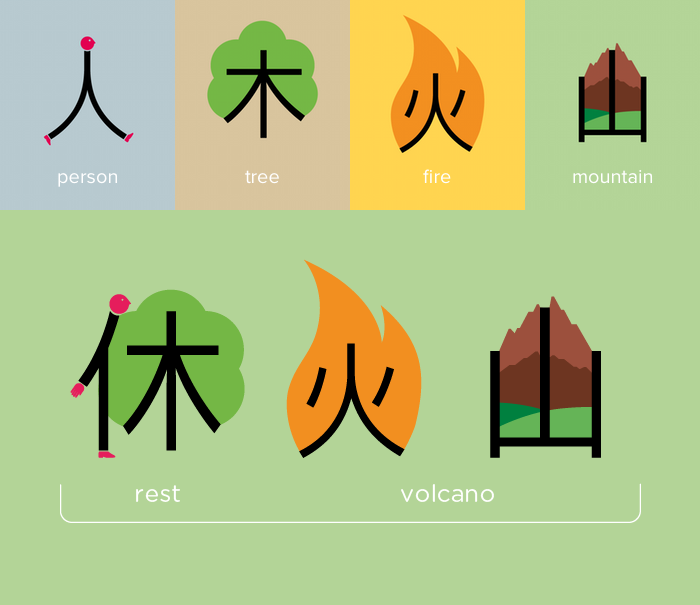 Chineasy’s goal is to allow people to learn to read Chinese easily by recognising characters through simple illustrations. The magical power of the Chineasy method is that by learning one small set of building blocks, students can build many new words, characters, and phrases.